Cortez Davis awaits re-sentencing April 27, 2017. Retired Judge Vera Massey Jones handed down that sentence in 1994 for the murder of Raymond Davis, Jr. (no relation) during a botched street robbery, but was overturned on appeal. Judge Massey Jones said then that she believed juvenile life without parole was unconstitutionally “cruel and unusual punishment,” a declaration made law by the U.S. Supreme Court in Miller v. Alabama (2012), and Montgomery v. Louisiana (2016). Davis’ defense attorney Clint Hubbell noted that the original sentence was clearly appropriate, because after his first 10 years in prison, Davis ceased getting tickets for various non-violent infractions. He said Davis has been ticket-free for the last 10 years, and listed his numerous accomplishments during the past 23 years. Davis survived a horrific childhood, growing up in drug-infested surroundings, at one point becoming homeless, and dropping out of school in eighth grade to support his younger siblings. 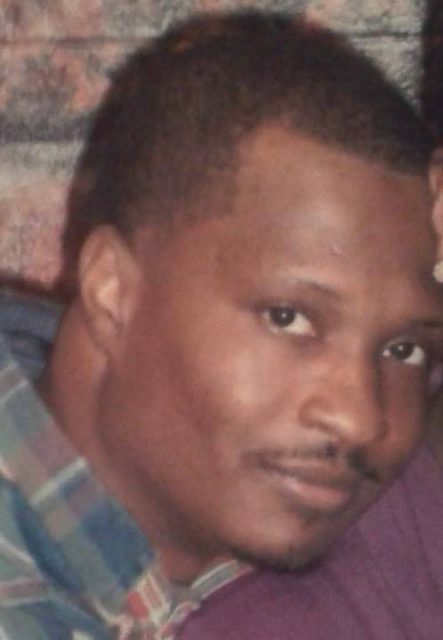 Despite a sterling prison record, Davis will now have to wait at least another two years before becoming parole eligible, under hotly contested state statutes passed in 2014 requiring mandatory minimums of 25-40 years and maximums of 60 years. A federal case, Hill v. Snyder, in which a U.S. District Court Judge initially declared all Michigan juvenile lifers eligible for parole after 10 years, is now on its second appeal to the Sixth Circuit Court by the American Civil Liberties Union. 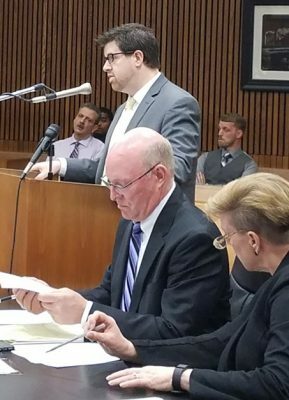 Defense attorney Clint Hubbell argues on behalf of his client Cortez Davis, while Asst. Prosecutors Tom Dawson and wife Lori Dawson wait their turn. Dawson asked for 28-40 years and expressed cynicism about Davis’ remorse. 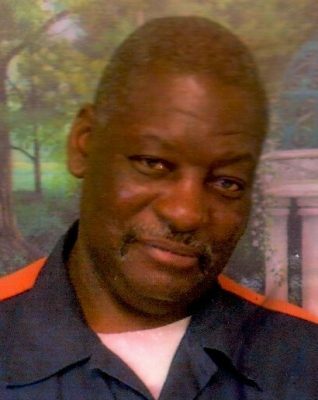 On March 28, an Appeals Court overturned Wayne County Circuit Court Judge Bruce Morrow’s re-sentencing of Zerious “Bobby” Meadows, 63, to 25 -45 years after he had served nearly 46 years in a felony murder case. 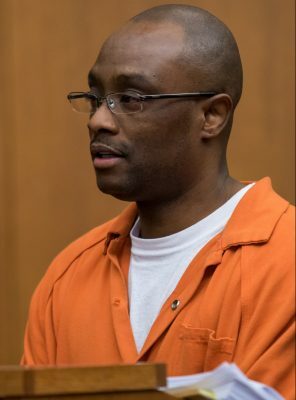 The court kicked his case back to Judge Morrow, who will conduct a hearing Friday, May 12, at 9 a.m.
Davis lauded Judge Morrow for adhering to the spirit of Miller and Montgomery, in an article published below “Why Impede on Their Freedom?” He also questioned the motivation of Wayne County Prosecutor Kym Worthy in continuing to challenge a sentencing judge’s right to determine when enough is enough. Davis’ brother, grandmother and another relative attended the hearing, along with a cousin of Raymond Davis, Jr., who said she believed Davis had not shown remorse or “found Jesus.” In an interview with VOD after the hearing, Davis’ brother Andre Parks expressed his regret that Judge Walker had not allowed Davis to be released with time served. But he and his grandmother, who cared for Davis and his siblings at various times, both said they would be waiting with open arms for Davis to finally come home. 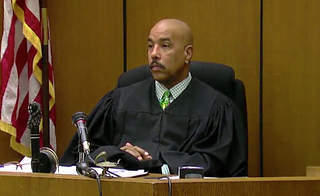 Above: Davis’ brother Andre Parks reacts to his sentencing. Atty. Hubbell was to meet with his client this week to decide how to proceed from the outcome of the April 27 hearing. Meanwhile, the rest of Michigan’s juvenile lifers face more cruel and unusual punishment as their re-sentencings creep along. The State Appellate Defenders Office (SADO), which has been assigned and paid by the state to represent juvenile lifers without attorneys, refused earlier to challenge the resentencing statutes as the ACLU is doing. 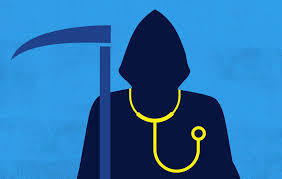 DR. DEATH: Medical care in Michigan prisons. SADO recently published a list of juvenile lifers who had been resentenced as of April 27. Out of 364 known cases, only 68 juvenile lifers have been resentenced, according to their list. All of them have received 60 year maximums, a practice condemned by many in the judicial world as nothing but another life sentence. Conditions in Michigan’s prisons are harsh, with extremely poor medical treatment and dietary practices. Juvenile lifer Charles Lewis, who has been incarcerated for 41 years, told VOD that prisoners call the head doctor at Lakeland Correctional Facility “Dr. Death,” because they frequently do not return alive from the prison hospital. He said they are often given the option of being “medicated to death,” i.e. placed on high doses of pain-killing drugs, since they are dying from lack of care anyway. He said many take that option. Bennie Clay, 66, died 1/16/2016. “I am currently on the bunk that Benny Clay was on before he died,” Lewis wrote. “He died from complete medical neglect. For over a year he complained about back pain. And, for a year the prison doctors told him that it was the sciatic nerve in his back. When they finally decided to treat him he was terminally ill. Jerome “Beno” Haywood used to talk to me every day. We filed pleadings in the same courts at the same time. He started complaining about back pain, then went to the hospital and died. I worked in the kitchen with a young kid that wasn’t born when I got locked up [in 1976], Curtis Clark. He was the dining room lead, and I was the relief lead. He complained about back pain for two years. When they finally decided to treat him he was terminally ill.
Lewis, who earned a culinary arts degree in prison, said prisoners themselves used to cook their own food, produced on farms they worked. Former Michigan Gov. John Engler sold the farms off. MDOC hired the notorious Aramark and Trinity Corporations to provide food for their profit. Lewis said the private workers do not have food-handlers certificates, or training as cooks. He said they use rotten unwashed produce and do not clean the kitchens or machines and utensils properly if at all. Out of the 68 re-sentenced prisoners on SADO’s chart, only 18 have actually been released from these horrors on parole, with eight more having seen the parole board and awaiting promised release. 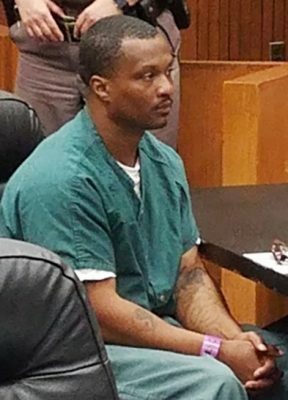 Twenty-one of the juvenile lifers have been subjected to Davis’ situation, where they still must serve MORE time before they become parole eligible, ranging up to 30 additional years. Eighty-five percent of the prisoners are Black. On average, they have served a total of 27 years so far. Their average age when they were incarcerated was 16. One example is Bosie Smith, 16 when he went to prison. He has served almost 25 years, but was resentenced to 31-60 years after the prosecutor first recommended another JLWOP sentence. Smith was the subject of two stories in MLive, linked below this story. One focused in particular on his work in a program at Lakeland Correctional Facility, training rescued dogs to be guide dogs and companions. That program is also at the Thumb Correctional Facility, where Davis is incarcerated. Davis wrote about it previously in a story for VOD. 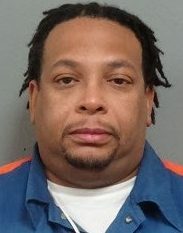 Michigan’s juvenile lifer resentencing statutes also forbid the use of “good time” credits that many prisoners like Davis achieve, further lengthening the time to be served under the state statutes. 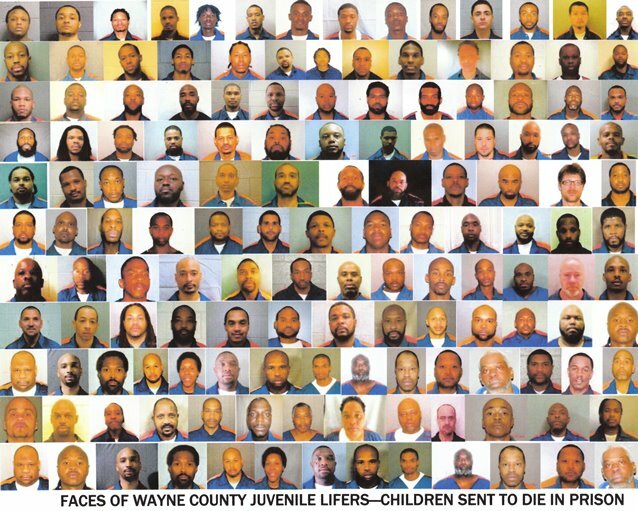 Many counties have asked that dozens of their juvenile lifers be re-sentenced to JLWOP, grossly violating a U.S. Supreme Court directive that “only the rarest child” should be deemed incorrigible and sent back to die in prison. Prosecutors’ briefs regarding these prisoners are generally boiler plate, giving no reasons why they consider them incorrigible. WHY IMPEDE ON THEIR FREEDOM? The United States Supreme Court made it perfectly clear that juvenile lifers who are now rehabilitated must be allowed to rejoin society while they are still able to contribute in a meaningful way. In two cases the highest court in the land counseled against treating child offenders like adults. More specifically the United States Supreme Court held: “Roper and Graham establish that children are constitutionally different from adults for purposes of sentencing; because juveniles have diminished culpability and greater prospect for reform, they are less deserving of the most severe punishment.” (Miller v. Alabama, 567 U.S.___, 132 S. Ct. 2455) (2012). Recently the Honorable Bruce Morrow tried to follow the law and constitution as interpreted by the United States Supreme Court, when three juvenile cases were in front of him. He assessed if the men before him had been rehabilitated. You can extrapolate that Judge Morrow found the three juvenile offenders that have been incarcerated for two decades mature and not a threat to society when he re-sentenced them and ordered their immediate release. Once again the County Prosecutor [Kym Worthy] went to the high court to stop the process and impede on the freedom that the Third Circuit Judge saw fit to restore. In Montgomery v. Lousiana, 577 U.S. ___, 136 S. Ct. 718 (2016) the U.S. Supreme Court held, “If a state may not constitutionally insist that a prisoner remain in jail on federal habeas corpus review, it may not constitutionally insist on the same result in its own postconviction proceeding.” Yet the County Prosecutor is fighting to do just that and is asking the Michigan Courts to help. When the U.S. Supreme Court extended its line of precedents to include juvenile offenders that had committed homicide offenses, this restored a sentencing judge’s discretion to enforce the spirit of the Eighth Amendment’s prohibition of cruel and unusual punishment. The Miller Court specifically said the Eighth Amendment’s prohibition of cruel and unusual punishment “guarantees individuals the right not to be subjected to excessive sanctions.” Roper 543 U.S. at 560. The U.S. Supreme Court emphasized that the distinctive attributes of youth diminish the penological justifications for imposing the harshest sentences on juvenile offenders, even when they commit terrible crimes. Does this also hold true when determining if a child that has been locked away for decades is mature and rehabilitated enough to be released back into society? They have suffered continuous punishment and incapacitation. When will they be released to truly pay their debt to society by contributing to the community that they hurt? WILL THEY LIVE TO SEE FREEDOM? This entry was posted in Uncategorized and tagged ENDMassIncarceration, EndSchooltoPrisonPipeline, FREEBOSIESMITHNOW, FREECHARLESLEWISNOW, FREECORTEZDAVISNOW, FreeMichiganJuvenileLifersNOW. Bookmark the permalink.